I get those sketches on paper, work out the kinks, and the computer work flows easily. Plus getting my hands dirty is so much fun! And I got to watch a lot of Donald Duck cartoons. I catalyzed and executed a full rebrand for Nomadic Press, complete with a new name, logo and identity system. 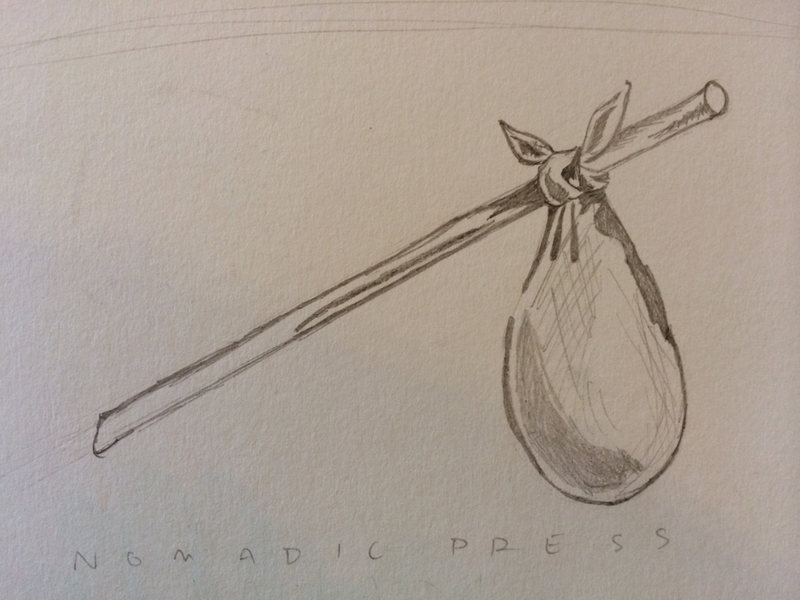 The logo is a bindle and stick; a reference to the nomadic lifestyle, self-sufficiency, and openness to new possibilities. The logo is made to exist as a badge on the spine of a book, website, event space environment, and correspondence collateral.